The word “Uriel” literally means, “The Light of God”. Archangel Uriel is often drawn as a man wearing dark blue, holding a lantern emitting light, surrounded by darkness. This is the perfect depiction of the Third Eye Chakra. We live in a world with much darkness, and our third eye aids us in connecting to the light. All energy practitioners, psychic mediums, spiritual leaders, and other lightworkers must connect to the Universal Life Force energy, in the ways we were trained and practice, to bring Light and Love into the world. Whenever we practice Reiki, we are using our Third Eye Chakra (whether we are aware of it, or not!). By setting an intention, drawing our symbols and placing ourselves to be the facilitators for bringing the healing energies to another person, we invite this unique connection to the Light. 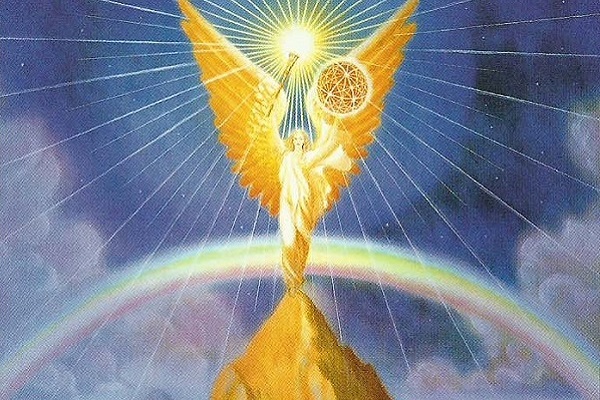 One of the special tasks that Archangel Uriel performs is to aid us in this process. He opens this Chakra and only allows positive energies to work with us. He helps us to grow in our understanding of metaphysical realities, and in our own intuitive abilities. The Third Eye Chakra is also the energy center for our cognitive, rational minds. The energies of this Chakra affect our intelligence and its accumulated knowledge. But, if we lived in our thinking minds only, we have missed the beauty of the esoteric world. We are spiritual beings living in a physical body, although many people forget, or even deny, the spiritual aspect of themselves. A life fully lived integrates all the aspects of our beings – physical, mental/emotional and spiritual. There can be no separation, or compartmentalization, of these components of ourselves. The Third Eye Chakra is the center for this perfect integration. Archangel Uriel brings illumination into our minds, and into the world. Some of the esoteric, or spiritual teachings, may be difficult to understand. For example, a person may decide it is time to read the scriptures of her religion. However, when she embarks upon this venture, she finds ancient writings are difficult to understand and wonders if it is worth the effort. But, her wisdom tells her there are important lessons within these scriptures that will bring her deeper levels of spiritual wisdom. She can call upon Archangel Uriel for help. He may give her inspirational thoughts; lead her to another book that explains, in today’s language, what the scripture’s meanings are; he may lead her to an appropriate discussion group – the possibilities are endless. 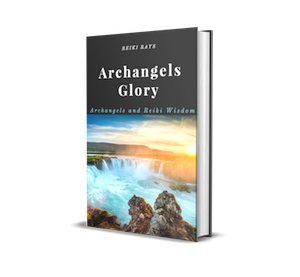 Trusting the process of connecting to Archangels and other spirit beings is essential in our discovery of spiritual growth. There are many instances when we can call upon Archangel Uriel for his guidance and support. If you want to grow in intuitive abilities, ask for his help. If you feel confused by conflicting thoughts and beliefs, especially in your spiritual or religious beliefs, call upon him for guidance. If you want to feel more connected to the Light, state this intention. Wonderful and miraculous events will occur. Archangel Uriel will bring light into your being. Chakra Test: Is Your Third Eye (Brow) Chakra Balanced? Does he help in exams? I have heard from my Reiki Master that some of her students call upon AA Uriel during exams. There have been cases when the students while taking the exam have felt/heard someone whispering the answers to them. Does it really happen? Has anyone experienced this?